I want to report what the Lord has been doing here in New Jersey. One of the members of Union Community Church , Sis. Nanet Purino, was diagnosed with a lymph node in her breast that was alarming so she went to the doctor who recommended biopsy and surgery with possible chemo therapy. Her husband, Bro Richard asked me to pray for her the Elijah Challenge way. So I asked the other brethrens to join faith with me that day and we took authority over that node. After that session, she felt a cold wave all over her. I asked her to go to the doctor and have confirmation of God’s miracle to her. 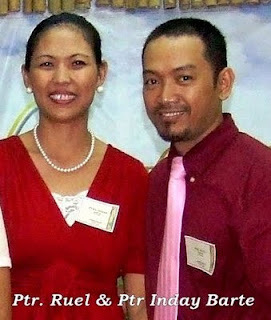 After a week, she stepped up to testify in front of the whole church, thanking God that the results were all negative!! !